Bean Counters of FloridaMGS Designz & More! | MGS Designz & More! 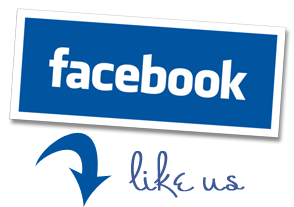 « Peace of Mind Concierge, LLC. MGS Designz is all about showing off our clients not only because we love what we do to make them look and sound good but because we really admire everything they offer! Today we want to introduce you to one of our favorite, long-time clients: Judith McMahon with Bean Counters of Fl. If you’re looking for a Bookkeeping, QuickBooks and Payroll for your small business Bean Counters is the place to call. Why hire a professional bookkeeping company? You get an “employee” without the expense of unemployment and payroll taxes, health insurance, vacation pay, etc. While access to bookkeeping software is readily available many business owners underestimate the time, knowledge and expertise required to correctly set up and manage their bookkeeping systems. With over 30 years of experience, we can help you organize your financial information, lower your overhead and operating costs and allow you the time to run your business. In order to run a business you need to know when and how to make corrective changes. You need to have accurate books to achieve this. 9 out of 10 businesses fail due primarily to poor financial practices. All at an affordable cost to you! Call Judith at (239) 209-1268 to schedule your FREE Consultation! 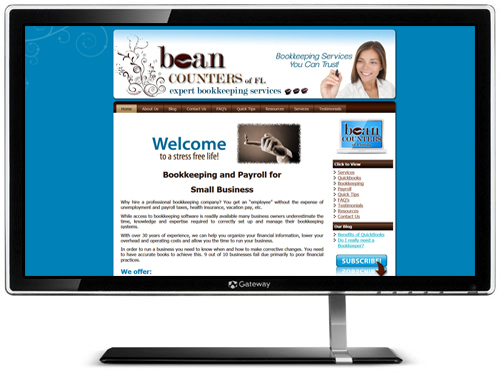 Bean Counter of FL can help you with all your bookkeeping, payroll, QuickBooks and Financial Statement needs!